My daughter thinks I am a scary bird lady. She even tagged a nice lady’s picture from a bird sanctuary holding a falcon as me on Facebook. I do love watching the birds at our lake house, we call Star Hill. I keep Birds of Texas books on my end table and binoculars at the ready. My kids think that is funny, and probably a little creepy. Every year Lesser Goldfinches come through Star Hill during the winter. I love seeing them. They come in in droves, feed on sunflower seeds and thistle, and give me joy. I love these little yellow birdies. 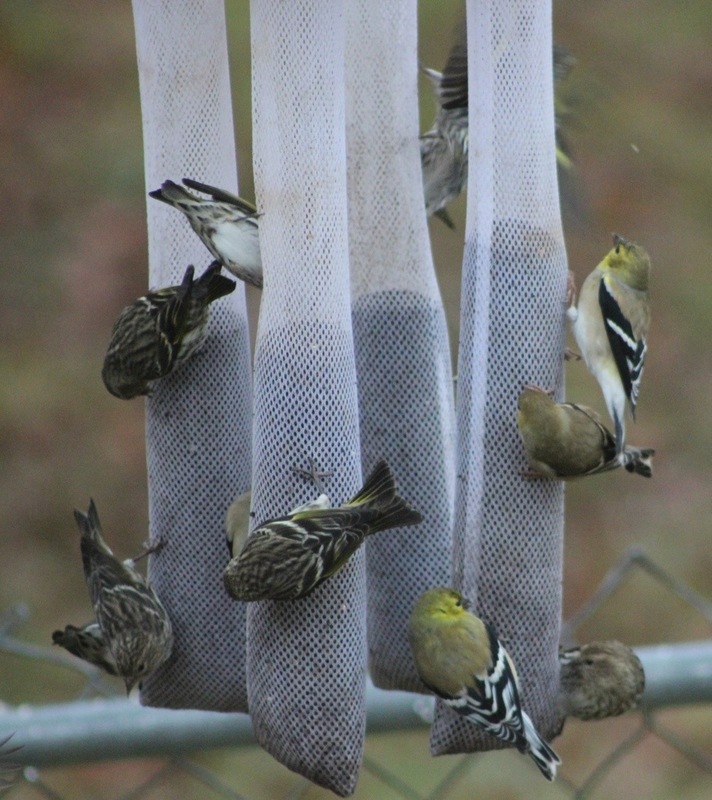 They fight with each other on the feeders and line up on the fence for their turn when the feeder is too full for them to fit any more. The whole yard is covered with the little birds when they fly in. 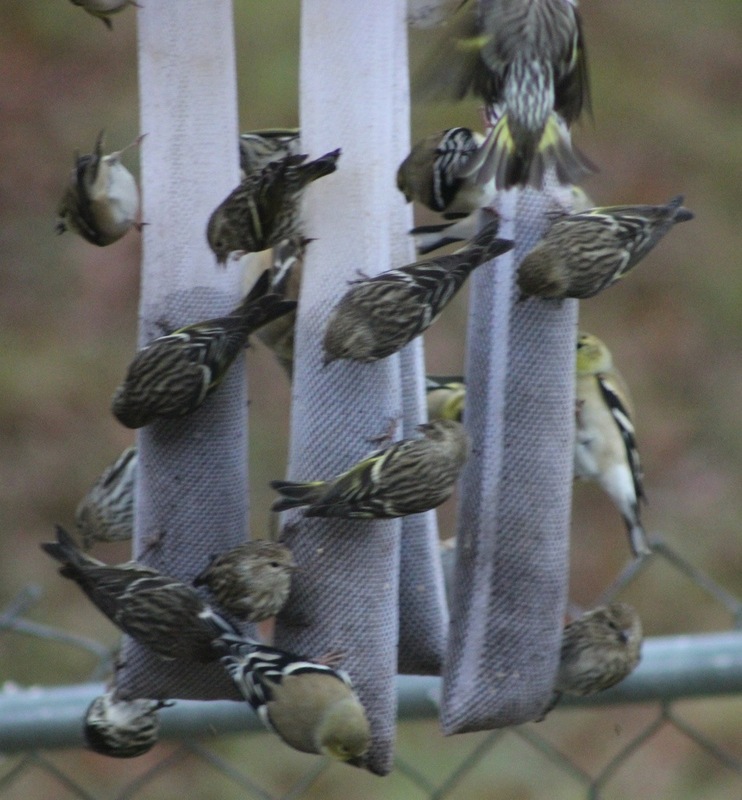 The feeder is a sock like device that is filled with thistle seed. It was hard to get pictures of it full because every time I got the camera out and stood by the door our goofy dog started barking. The birds I got to photograph were just happy that they got a turn after everyone else flew off. I am enjoying my new camera. They are all in Coldspring, Texas!